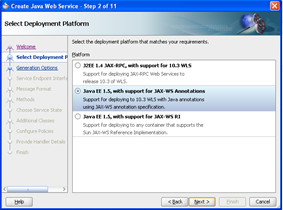 In this post I will explain you how you can create Java web service in Jdeveloper and deploy the same from Jdeveloper itself. Step 1.) 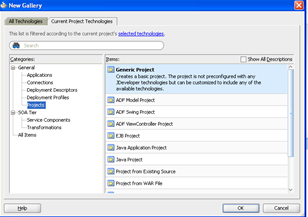 Create a new project in Jdeveloper. Go to Application and right click on it and choose New Project. 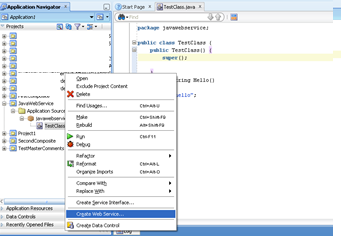 Select Java and Web Services and add it to right pane. You can change Default Package name as per your requirement and click Finish. Step 2.) 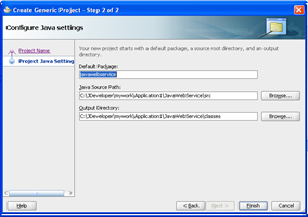 Create/Add Java code as per your requirement. I will simply add one Java class that contain only one function for this post. 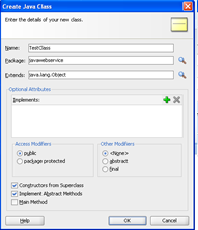 Right click on newly created project and add new Java Class. Fill all necessary details and click OK. Step 3.) 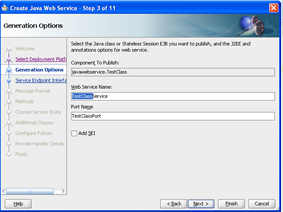 Create Web Service from Java Code. 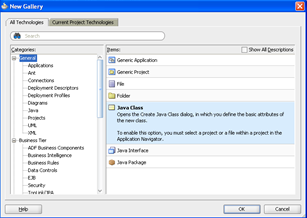 Go to newly created project and right click on above created Java Class. 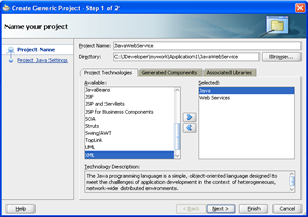 Click on "Create Web Service". Select the deployment profile as per your requirement. You can also change Web Service Name. 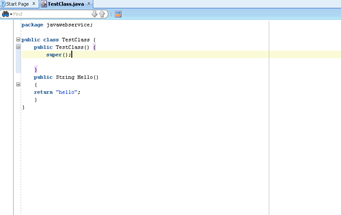 If you have more than one function in Java Class.You can choose the functions that you want to expose. Accept all default and we are done with Web Service Creation. Step 4.) 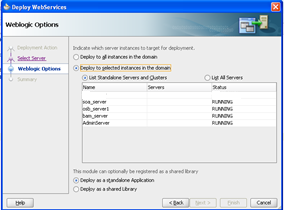 You can simple deploy above created Web Service to server. Just right click on project and click on deploy and you can choose the server to which you want to deploy it.